You must make reservations at least 5 minutes in advance of the time at Piccolino Ristorante. 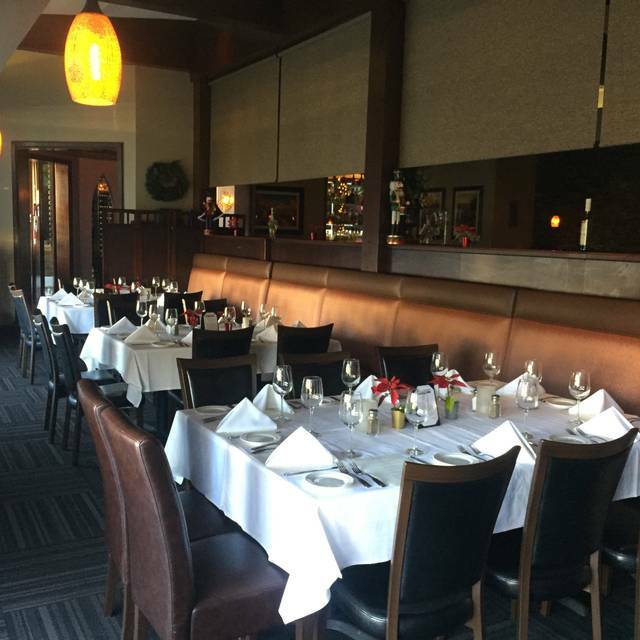 Our three private dining areas offer an elegant upscale atmosphere for family, friends or co-workers to shower everyone with happiness. We understand your expecting a special day, leave it to us, sit back and let our 3 generations of experience make your thoughts and dreams come true. Salvatore Faso opened Piccolino in 2007. A Sicilian by way of Chicago, Faso comes from a family of Italian chefs and restaurateurs. He made a name for himself at Prego before setting off on his own with Piccolino. 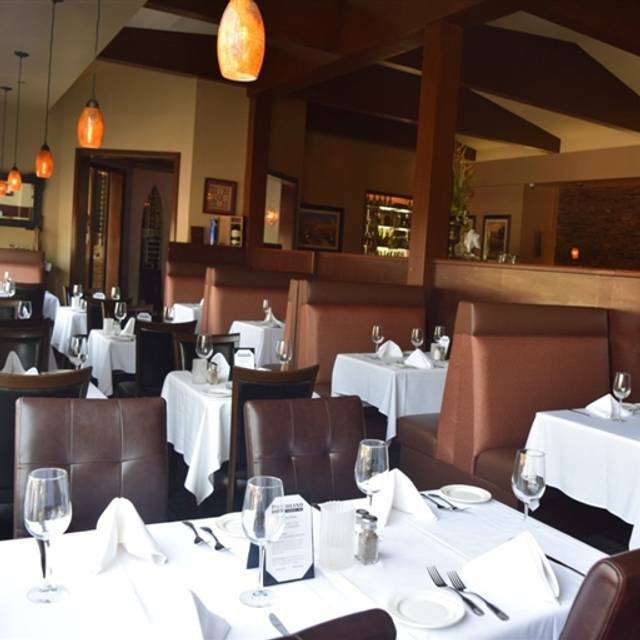 In August of 2015he moved to a free-standing building with exponentially nicer decor – it’s now the poshest Italian restaurant in south Orange County. 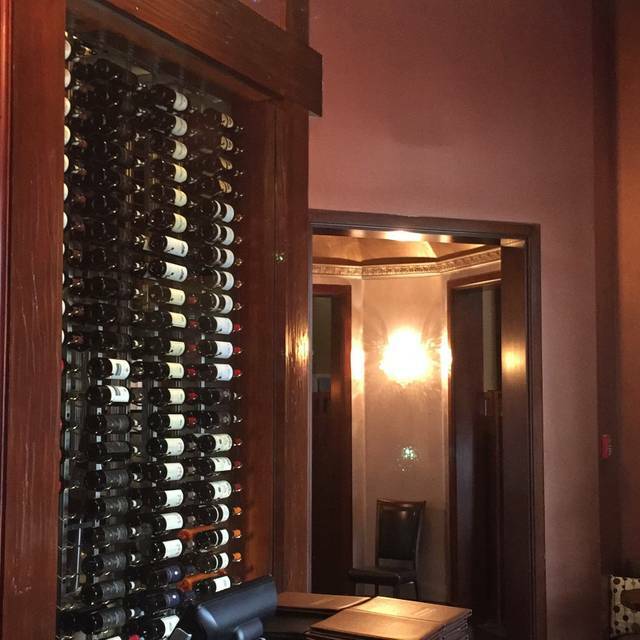 The centerpiece is a beautiful wine vault that surrounds the front entrance. And there’s plenty to show off. Faso has assembled a concise but impressive collection of Italian wines. Make sure to ask about the veal porterhouse. Chances are nobody’s going to tell you about it unless you bring it up. It’s not on the menu. It’s a secret special that’s always in short supply but usually available for a few orders each night. It is absolutely superb: cut gloriously thick, heavily charred around the edges and rosy pink throughout. White Zinfandel, La Terre, California, N.V.
Chardonnay, La Terre, California, N.V.
Brut, Domaine Chandon, Napa, N.V.
Brut, Veuve Cliequot, Ponsardin, Reims, France, N.V. Enjoy a special Mother’s Day Brunch with a 3-course Prix-Fix Menu $48 per person plus tax and gratuity. 10:30am - 2pm. Regular menu available. Be sure to reserve! Very good food. You can sense that the kitchen uses premium ingredients. A tad above average prices for food. Noise level is affected by accoustics. 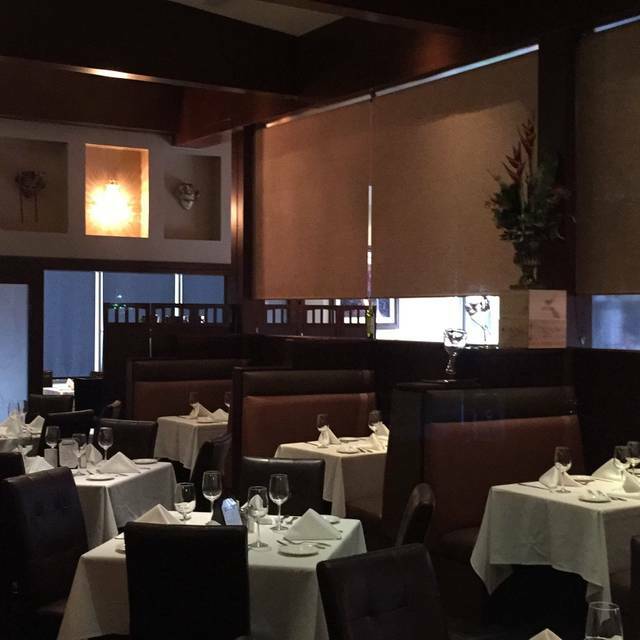 Great place for special occasions and date nights. Excellent as always. Piccolino is always a must go to restaurant when we’re in Southern California. Over all was an ok ...but very pricy experience. The restaurant was small and nice but extremely loud. The service was very friendly but slow. The food ranged from pretty good...but not for that price...to disappointing. The blueberry martini was flavorless...though my daughter enjoyed her sour apple one. The stuffed mushroom special appetizer was tasty...but not on menu so no idea what it cost. Most of the pasta dishes ordered were fine. My daughter got the pasta crepe thing with pesto that was very good. I ordered a very expensive fish dish based on servers suggestion...it was a pile of under seasoned spinach, a couple potatoes and at few pieces of undercooked fish (a couple shrimp, scallops and a tiny piece of salmon ....$36! Was such a disappointment...(it was my birthday dinner) I was sad I didn’t order a pasta dish. My bad I guess..but waiter said was his favorite even talked me out of a sea bass special. Overall it was just an ok experience...at a very high price. Probably wouldn’t go back. 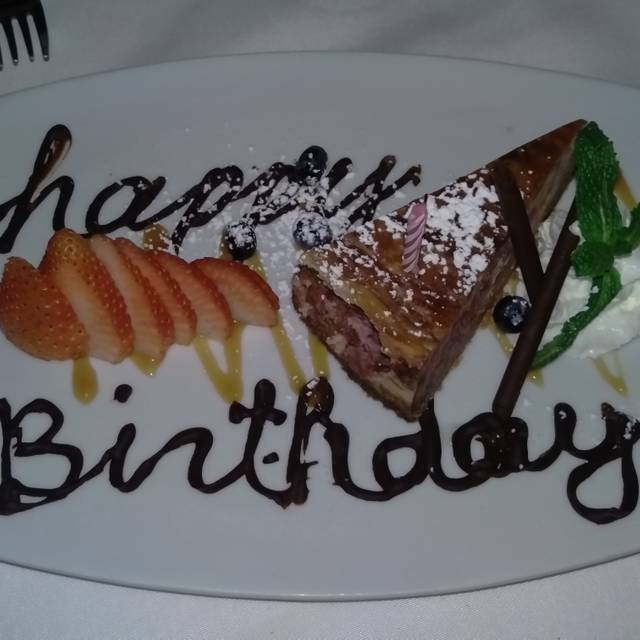 We celebrated our daughter's birthday at Piccolino on Monday, April 15. We chose a weekday night due to the high level of noise in the dining room on the weekends. 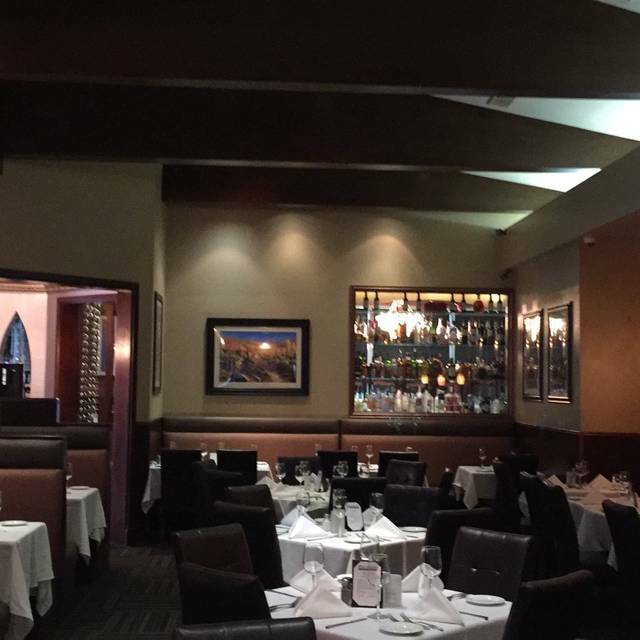 We are long time customers of Piccolinos; having dined there on Valentines and New Years. We had a great server and a wonderful dinner but I have to say I was disappointed in the lobster/shrimp/ fettuccine special offered that night. Both my son-in-law and I ordered that dish and we both were very disappointed in the lack of lobster. The special was described as large shrimp and CHUNKS of lobster meat. NOT SO! The lobster was impossible to find and what we both saw was TINY slivers of the pink flesh of the lobster. Tasteless. I should have chosen the shrimp, shrimp capellini. It probably would have been a lot cheaper. The food is always excellent and the service is always outstanding! This is our favorite Italian restaurant! We have always enjoyed Piccolino, so this was not our usual experience. We found it very dark, were not able to read the menu without additional light. We all ordered a special, I got the short rib special and it was extremely fatty. And because it was so dark, I would get unexpected mouthfuls of fat. I would come back, but would stick th the pasta dishes that I know are good. Stopped in for lunch. Had the sausage with mushroom pasta and my GF had spaghetti with meatballs. So good. Oh and DO NOT miss the Bruschetta. Fresh and awesome! 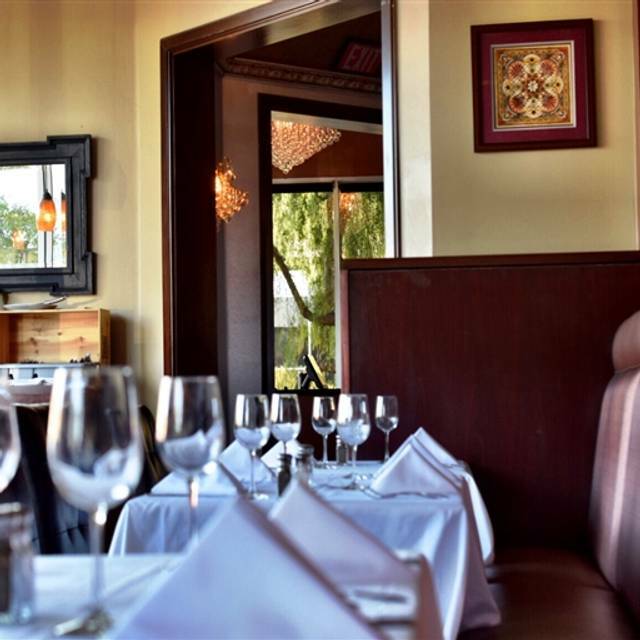 Very sophisticated Italian menu - great for foodies- and beautiful décor, with the warmth and feel of a family owned place. The host/proprietor greeted us and followed up several times to check on our meals. Exceptional food with specials every evening. The best dining experience on opentable around the world. Amazing food incredible wine fantastic service and all around the best experience ever! The food was amazing. They also offered to "make anything" for our kids. Technically, there was no pepperoni pizza on the menu, but they were happy to make it and needless to say, it was great! The ambiance was nice too! Our server was very knowledgeable about all the menu and drink items and the owner even stopped by and chatted with us. I would highly recommend Piccolino if you're looking for authentic Italian! Delicious food, great atmosphere, and fabulous service. Couldn’t ask for anything more. Never, ever a disappointment. Best Italian food in Orange county! Mangia! We love Piccolino Restaurant. Any time we have a special occasion, we go there. We will also go to Piccolini's if we want wonderful Italian food, excellent wine, served by professional waiters who are always there for your needs. We travel to Italy every year and this is our favorite Italian restaurant here in the states. We've never had a bad experience here and look forward to eating and celebrating special occasions here many more times! We go to this red regularly and it never disappoints us. Terry is always welcoming and any server we have is always professional and attentive. The food is always prepared with care and tastes amazing. Had a great time ! Good food , good service! The red sauce was way undercooked and had a bitter, sharp taste. Gave me indigestion. Excellent food and service as always! Great ambiance, too!! Excellent service and great Italian classic dishes. Highly recommended. Yvette’s service was excellent. We enjoyed meeting Marco and we felt very well attended to. The food was delicious as always. Excellent all around every time we go! First time dining here but it was a treat! Great service and food was amazing. Tried Italian dessert and was wonderfully surprised. Took home cannoli and wasn’t disappointed. Will definitely return! Went for a nice lunch with a friend. Online their hours of operation were confusing but it accepted a reservation for 1:30 so figured they were open despite the fact it didn’t list lunch hours. On arrival the hostess explained that they are open at lunch and generally close a few hours to prep dinner, around 2. Forgetting that in the enjoyment of the experience we realized when we left that it was 3:30 and the employees were still accommodating us! The menu was huge and included much variety. We ordered from the dinner menu though there was a lunch-type menu with paninis etc. the food was very tasty and portion was as large as I expected for the price. The atmosphere at Piccolino was classy but not uncomfortable and the wait staff were professional yet friendly especially regarding our many questions about what items on the menu were, as there were many names in Italian that we were not familiar with. I got the Saltimbocca which is kind of hard to find at restaurants. The menu even disclosed the fact that this is a salty dish for those who may need to know. Very tasty. Amazing authentic Italian food. The service was impeccable. The staff was very friendly and accommodating to our large family which included 4 small children! Our food was delicious and came out in a timely manner. I highly recommend this restaurant. Always the freshest, most delicious food imaginable! We live the area and had never been here before. We were so pleasantly surprised. It was fantastic. We did have to wait a few minutes for our table. And the tables are a bit tight for 2 tops. Also the noise level a little high. But besides those minor items, it was great. The service was wonderful and the food just delicious! We will be back soon. Always a great evening out. Consistent food quality and great service. Noise was a bit loud on Sat night. We had a lovely dinner for a special occasion at Piccolino. The menu is extensive, and the food was delicious. The wine list has a wide variety of wines, focusing on Italian wines. Our waiter was very helpful and attentive. The restaurant is quite large, and therefore, somewhat noisy. Fortunately, we were in a cozy corner, so our party of 4 was able to converse. One thing that was a little out of place was a large TV in the corner of our side dining area. But, it didn't detract too much from the overall ambiance. We went for OC restaurant week. It was a 3 course dinner for $40.00. We started with salad which was very fresh. For the main course we had the Chilean sea bass. It was cooked perfectly. 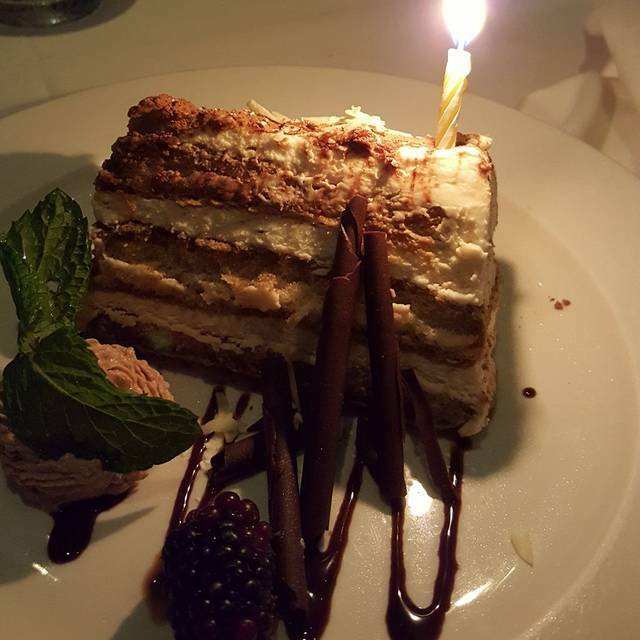 Dessert was a delicious tiramisu. Service by Yvette was excellent. Very good neighborhood restaurant. Yes the salad was wonderful but i really could not hear what you said! Warm greeting, beautiful place, superb food, and way, way, way too loud. Piccolino has superb food, but go on a rainy Tuesday, one big boom box of a room with too many tables for the space, this should be a date place... but is simply too loud for a conversation on a weekend evening. Very friendly warm environment. Appetizers were great, particularly the burrata and tomatoes, sausage, and stuffed mushroom! Bread just ok. Ask them to toast it. Entree was fine but the cioppino needed more shell fish. Would go back again to try other entrees. 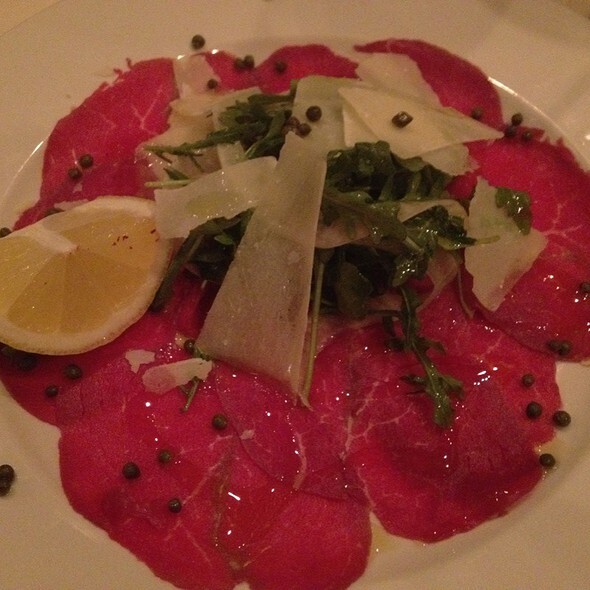 Our dinner at Piccolino Ristorante was amazing! It is not very often I get to have a hand crafted meal like that, and for such a reasonable price on everything! I have we have made Piccolino our favorite place to go for the finest hand made from scratch authentic Italian food this side of New York City! I Love it!!! We always have a great experience! The food and service is wonderful. Ivette is the best server we have had in the area. She is a member of our extended family! We share all of our big events with the team at picccolino’s. It was our first time to Piccolino. The restaurant is beautiful. Our server was fantastic and the food was delicious! We were celebrating our wedding anniversary and our server brought us a beautiful and mouthwatering chocolate and hazelnut gelato dessert. This restaurant definitely feels more upscale than most restaurants in Mission Viejo. We will definitely go back!